Please tell me this isn’t true (apparently it is). 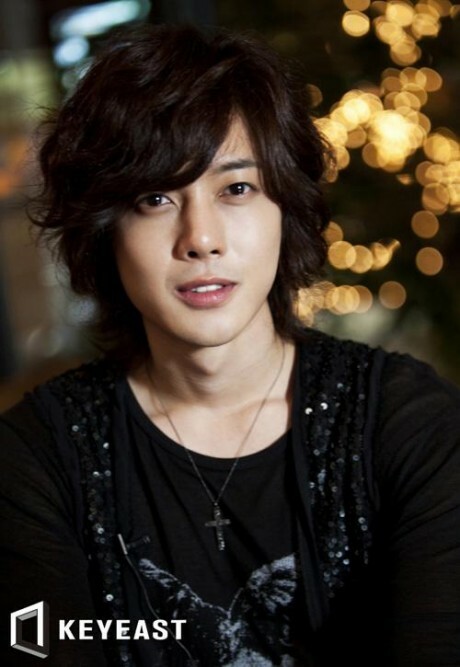 Kim Hyun Joong is now casted to play the lead role for the Korean Adaptation of It Started With A Kiss/Itazura na Kiss. I don’t have anything against KHJ, but please tell me another actor will play the lead role. His fame (as an actor) started with BOF, but frankly speaking, I was not impressed by his acting. I like him as a singer, but as an actor? I honestly don’t know. It would have been better if they choose an actor (and actress) that is relatively new (hey, it worked on BOF). Can I say that I am disappointed? Yes. I guess I could tolerate it if it was ‘another’ drama, but it is Playful Kiss that we’re talking about here (favorite drama of all time). I guess I have to give it a try then, I hope KHJ will do justice to the role. I desperately hope so. p.s. khj lovers, don’t hate me, I’m speaking without bias here, do understand. Disappointed in the cast so far. After reading the news about Koreans making a version of “It stated with a kiss” I knew they can’t find good actors… but seriously him…? He’s acting is …um… forced. I’m really sorry to the fans, but KHJ isn’t fit to be Zhi Shu. By the way, the main girl was revealed, Jung SoMin, disappointing, again, it doesn’t fit the role. @Akiio, I guess we’ll have to wait and see. I suppose you’ve already seen the stills that were released? It’s pretty okay, HJ captured the cold persona of Naoki, but then again, I’m worrying on how he’ll portray the “naughty” side of Naoki. I totally agree. He’s a good singer, but as an actor, he’s boring. He doesn’t fit the role at all. i think kim hyun joong his trying his best in his acting creear.so i think we have to incoreag him.but i luv him what ever has done. When I heard this too, I thought I was imagining things. I have never been too fond of him ever since he was in BOF (which I dropped in the first ten minutes). kim hyun joong i luv u so much.u r my prince of dream. u r so cute . n hope that we can see your many more movies in future too. The only thing similar to KHJ’s character in PK and real life is, can’t express himself freely. So shy to confess to someone.